The exhibition is part of the Isle of Man Classic TTs Joey Dunlop Road Racing Legend tribute theme, which also includes a parade lap featuring his greatest rivals and an '80s themed fancy dress paddock carnival and party. 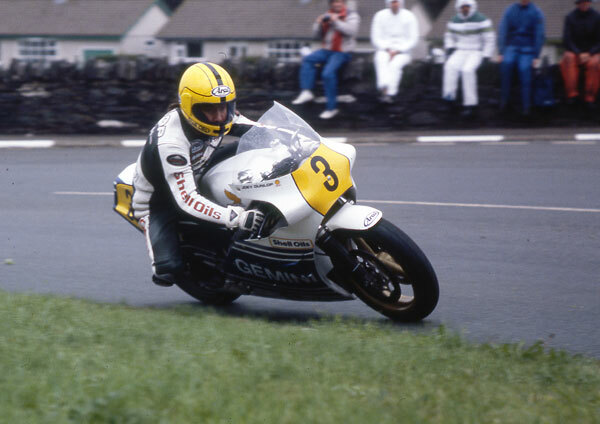 The free pop up exhibition, which runs from Friday 22nd to Monday 25th August, will feature 25 authentic machines raced by Joey Dunlop in his 24 year career, including a number of his Isle of Man TT winning machines. Collectors, friends and members of Joey's own family have loaned the machines to the Classic TT Race organisers. As you would expect Honda, the marque synonymous with Joey Dunlop, dominate the exhibition including iconic RC45s, RC30s, RS250s, RS125s, CBR 600's and his 1986 Senior TT winning RS500. However, the exhibition, will also feature other machines from earlier in his career including Yamaha's and Suzuki's along with the 350cc Aermacchi he rode in the Classic MGP Races. "We wanted to pay an appropriate tribute to one of road racing's greatest names and what better way than to assemble the finest collection of his race bikes for the first time." "We have had a brilliant response from the bike owners in loaning their machines and are very grateful for their generosity. From a personal point of view, as someone who was involved in the TT races during Joey's career, it will bring back many great memories and I hope that as many fans as possible visit the exhibition."